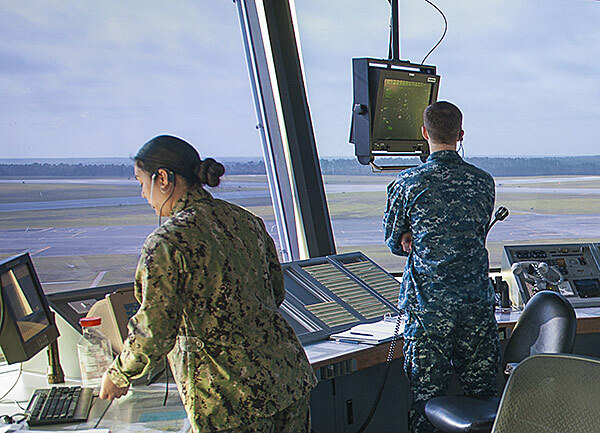 Santa Rosa County sits in one of the most active air traffic zones in the world, surrounded by military aviation installations and growing commercial operations. The area’s proximity to military-related IT research, development and testing has created an emerging cluster of IT and aerospace companies. It's really quite impossible to overstate the positive impact of military affairs on Santa Rosa County…and statewide. Florida's military and defense-related industries are critical to Florida's economy. The $52 billion industry is the state's third top economic sector behind tourism and agriculture; it tops the list in Santa Rosa County. Whiting Field has worked closely with the community on encroachment issues, which not only strengthen our military presence but also as a portion of the Joint Land Use Plan developed will allow for compatible development adjacent to Whiting Field, enhance biodiversity and advance conservation. The Air Force's largest base and hub of research and development, Eglin AFB is primarily noted for hosting the Air Armament Center. 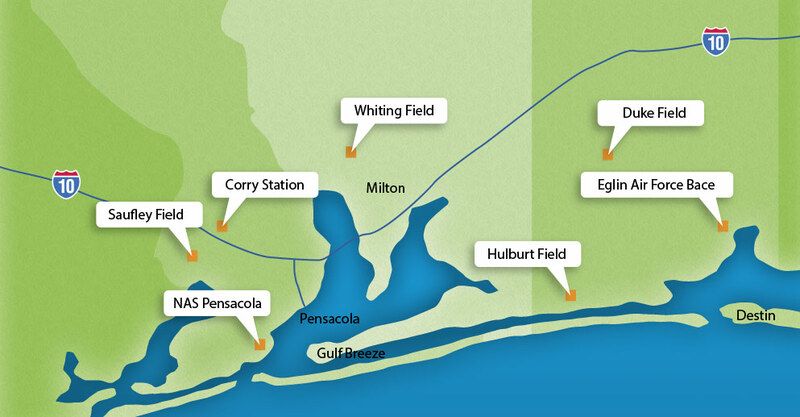 Eglin AFB is the largest military base in DOD with 724 square miles of land range. Eglin AFB hosts the Gulf Range Complex which is a key training location for the Air Force and the Navy due to its tremendous capabilities and solid commitment to partnering for joint training. Duke Field is located on the Eglin Reservation and is used to support Air Force and Army Ranger training. Beginning in 2010, Eglin AFB will be home to the F-35 Joint Strike Fighter and the Army 7th Special Forces Group. Eglin AFB is located in Okaloosa County. Hurlburt Field's mission is to support the training and execution of worldwide special operations such as unconventional warfare, special reconnaissance, counter proliferation, foreign internal defense, information operations, psychological operations, civil affairs and combating terrorism. The base is home to the Special Operations Command and the 16th Special Operations Wing. Hurlburt Field is located in Okaloosa County.